MBBA raises funds by running Events. These may be rides, quiz nights, talks, private visits or our big summer event with special guests and entertainment for everyone. The biggest fund raiser is, without doubt, the now famous Glastonbury Festival Ride which takes place every other year. The ride starts on the festival ground with a tour around the actual site of the festival, passing the Pyramid Stage and other iconic land marks. 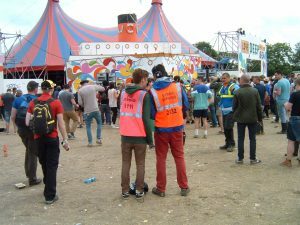 Each Festival, MBBA also provides fire stewards for the music festival and this too is a great income as Mr Eavis MBE, gives us a very generous donation for each steward we provide. MBBA members may apply to be stewards and this is always a popular perk of being an MBBA member. We also annually run the Greenscombe Ride near Bruton. 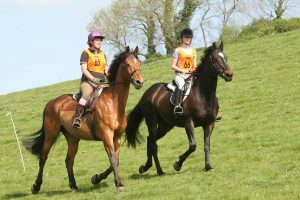 Thanks to the generosity of all the stewards, who give up their Sundays to help MBBA and the kind landowners who permit access over their land, this ride too brings in much needed funds for our work. Our rides always have a tuck wagon, Photographer, vet cover and loos!! There is also the opportunity to enjoy the jump fields, with stewards to pick up poles. So we really look after our riders. All rides are tagged and signed throughout and we try not to mislay anyone, despite there being over 200 riders on the Glastonbury Ride. 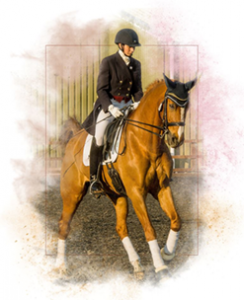 Our other big fun raiser is our Summer Demo at the indoor school of Kingfisher Equestrian. 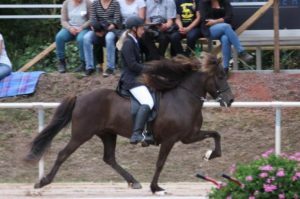 This is aimed at all horse lovers of all ages and is more entertainment then serious. 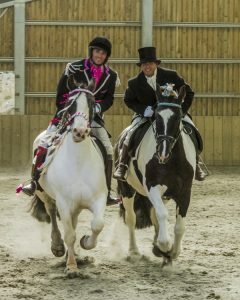 Over the years we have had; The Bath Riding Club quadrille in costume doing dressage to music. 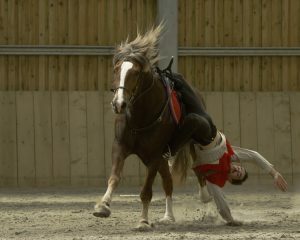 An evening with Richard Maxwell, well known horse behaviourist tackling naughty horses. A bitting demo with Hilary Vernon, Stunt Riders, The Spanish Horses in their national costumes, The GB Icelandic Team, dramatically putting their horses through their paces, A wonderful Grand Prix Dressage display, the Pony Club mounted games, Western Riders and barrel racing and of course Wocket Woy and the Pwoducer who so brilliantly took part in our event to the huge delight of the audience. All these events take time, and commitment from the MBBA Committee who work so hard to make all our events a great success. General Knowledge Quiz Night 22nd Feb in the RBL Hall at Coleford. 7.30pm start. Teams of four. Play for prizes. £3 per person. Everyone welcome. April – Talk from BHS – The Cross Keys, Lydford Cross. 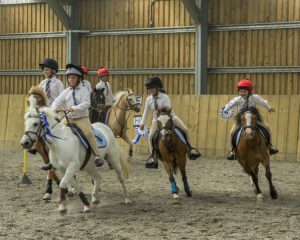 June – The summer event ; Shetland pony display team and Western riding. 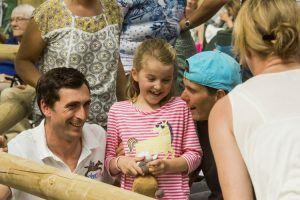 Archive; Improving Your Everyday Horse with Richard Maxwell in October 2016. 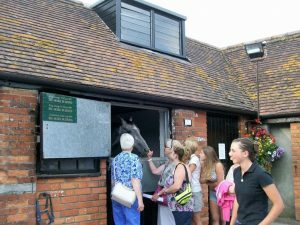 Thank you Bryony at Paul Nicholls Racing, for another great trip around your immaculate and happy yard. Congratulations Bryony on coming 5th in the Grand National this year.